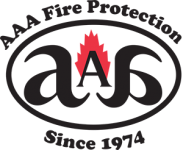 AAA Fire Protection Services provides comprehensive fire protection services such as the installation and maintenance of Ansul fire systems and emergency light installation for Danville businesses and businesses throughout the East Bay and Tri-Valley area. Our service team is made up of industry professionals and we offer more than 40 years of experience helping businesses understand and comply with local, state and federal fire protection regulations. At AAA Fire Protection Services every job is completed with integrity and honesty. For specialized industries, we supply specialized solutions. In the automotive industry, for example, we install and maintain paint booth fire systems, which are required for any business offering auto painting services. In addition, our emergency light service is comprehensive. It consists of two parts. The first is emergency light testing, which we do on annual basis, or as required by regulation. The second part is emergency light repair which includes the collection of data and documentation that helps you show government agencies that your business is 100 percent compliance. How can the professionals at AAA Fire Protection Services help you?